Ajax Fiori Engineering India Pvt. Ltd.
BOB Tech Solutions Pvt Ltd.
CfMC India c/o Mittal Elec. ContinuServe Softech India Pvt. Ltd. Dark Horse IT Consulting Pvt. Ltd.
Ek Kitab Educational Services Pvt. Ltd.
Greenwich Nexen Energy Solutions Pvt. Ltd.
Kratin Software Solution Pvt Ltd.
My Personal Health Record Express Pvt Ltd.
Novellus Systems (India) Pvt Ltd.
Openstream Technologies (I) Pvt. 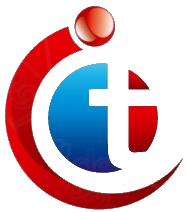 Ltd.
TISYA Software Solutions Pvt. Ltd.